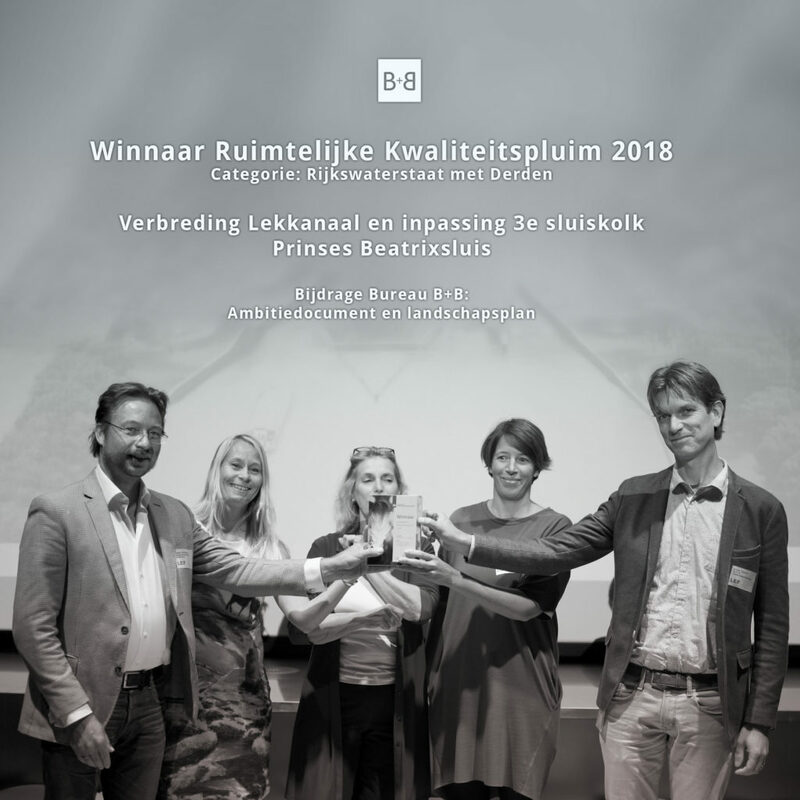 Bureau B+B and partners receive the spatial quality award for their work on the Prinses Beatrixsluis. Last week Rijkswaterstaat, as part of the Dutch Ministry of Infrastructure and Water Management, organized ‘Dag van de Ruimtelijke Kwaliteit’ (the day of spatial quality). During this event collaborations with exemplary focus on spatial quality were rewarded. Together with representatives of Rijkswaterstaat and the Sas van Vreeswijk consortium, Mascha Onderwater received the prize in the category ‘Rijkswaterstaat met Derden’. Commissioned by Rijkswaterstaat the spatial ambition document for the expansion of the Princes Beatrixsluizen was created by Bureau B+B. 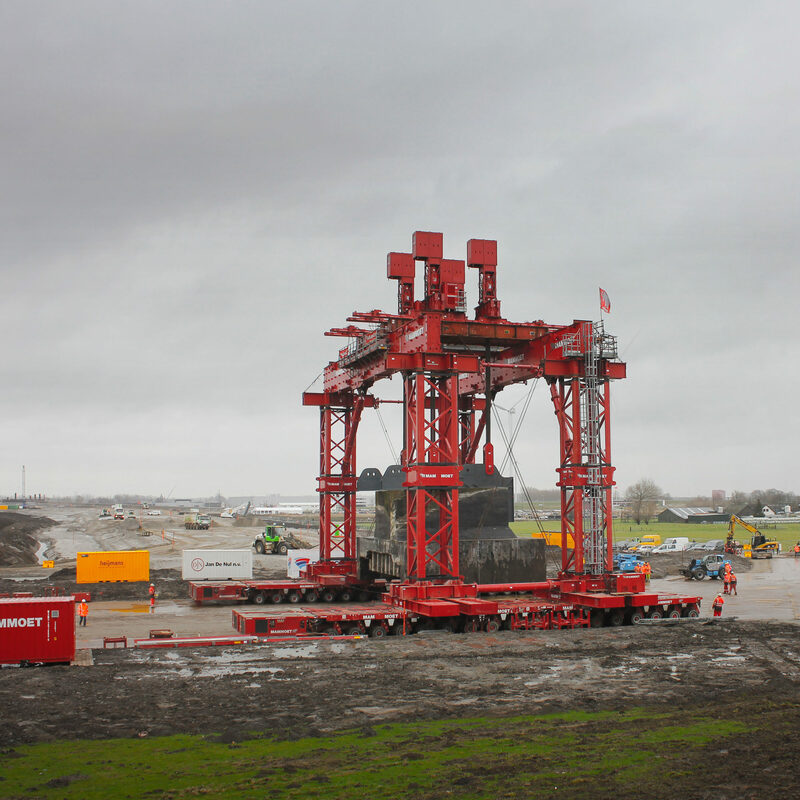 The highlight of this project is the relocation of the 3350 ton concrete bunkers of the Nieuwe Hollandse Waterlinie defense line. Positioned on their new location the result can be admired in all its glory.